Situated in the heart of the southern part of the Island, this apartment overlooks the the Ocean with sandy beach from the terrace, and close to the complex you will find dozens of nice streets and promenades with the restaurants, bars, beauty and body-shops, pharmacy and supermarket, sports and entertainment facilities, and the main attractions are the Playa Paraiso Beach - one of the best beaches in this area of Tenerife, and the Hard Rock Hotel - probably the coolest and brightest hotel in Tenerife South. 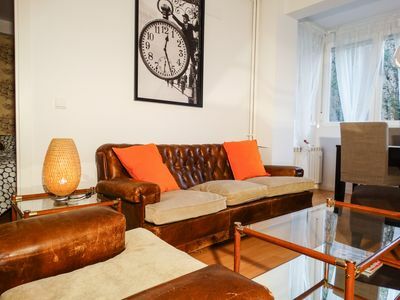 This lovely 1-bedroom apartment has just undergone a total renovation. 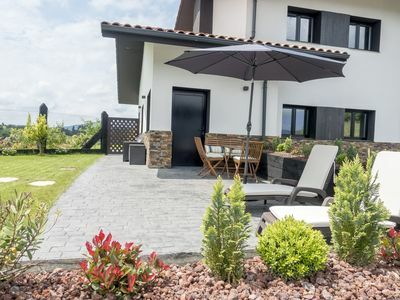 You will find all you require in the newly fitted kitchen, spacious and lumionous living area has a dining facilities for the whole family, a sofa-bed and a Plasma TV which receives local and majr European TV-channels with Internet Live streaming. There is also another Plasma TV in the bedroom. Designed for comfortable accommodation of up to 4 people. 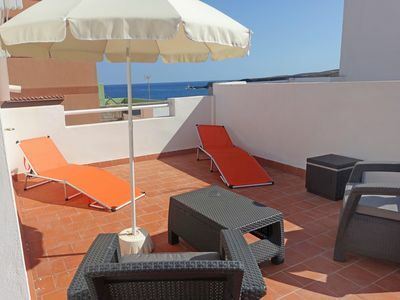 Comfortable and an ideally located 1-bedroom apartment, and it is situated in the south of the island, just 60 meters from the beach and beach-walk promendae, in the lovely and breathing with tranquility and full relax south Tenerife´s playa paraiso. 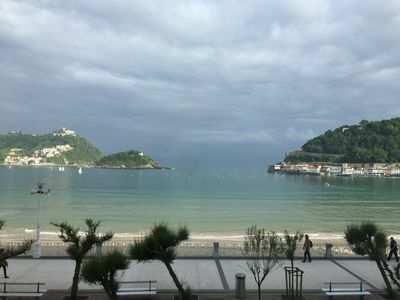 Approximately 200 meters away there is a shopping center, where you will find a supermarket "Dino Express", dozens of shops, bars, pharmacy, restaurants,, hairdressers, bank, post office, etc. Less than 2 minute walk to a cute sandy beach. 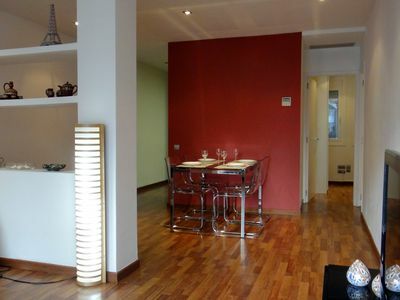 The beautiful one-bedroom apartment is with its 63 m2 very spacious and bright, including a separate bedroom. Windows and the 12 m2 (!!!) 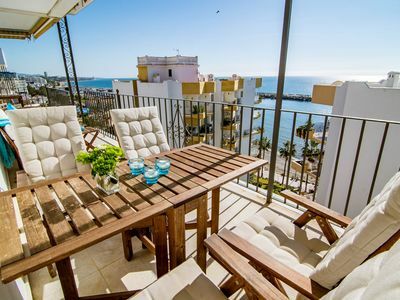 balcony will provide you with a great sea view and unforgettable sunsets. You can even see the neighbouring and magic island of La Gomera. 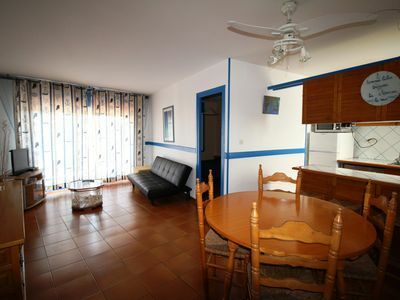 There is a full size oven, grill, 4 ring hob, dishwasher & washing machine, so self catering is a real possibility if you chose. Good local supermarket with fresh products, bars and enough restaurants close by ("Titanic" particularly good and highly reccomended). 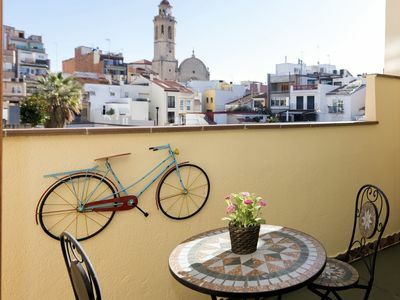 This town is an ancient fishing village with some lovely fish restaurants and famous spanish "tapas" bars. The sandy beaches are kept to the highest standard and are very safe for children. 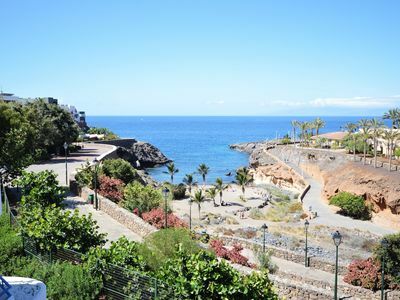 It is a genuine Canarian seaside resort nestled on the south coast of Tenerife. 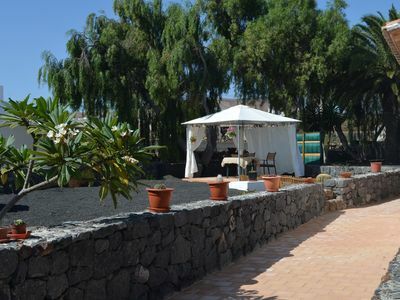 A lovely stretch of golden sand and awesome views of La Gomera island are really what this place is all about. 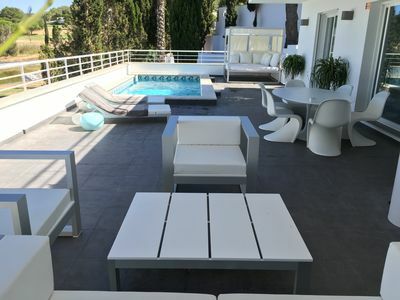 If you love full relax on the beach and some water sports as well, this is the place for you. A promenade runs parallel with the beach and is lined with shops, restaurants, bars and cafés. There are also several places to hire water sport equipment. Plenty of parking is also nearby as are several taxi ranks. 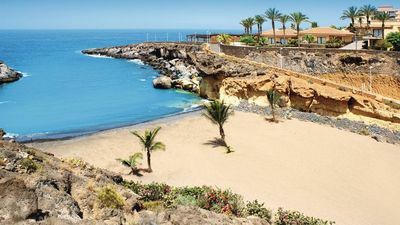 Playa Paraiso makes for a great day out; perfect to enjoy a traditional Canarian coastal town with a Bohemian twist. Local buses run from this resort to all the major places on the island so it’s easy to sample the delights before retreating back to the peace and quiet of your apartment. 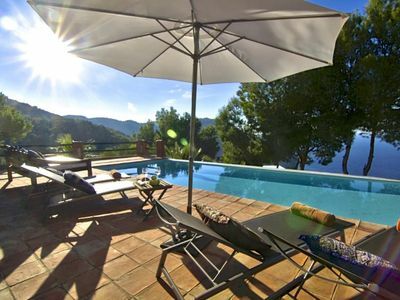 Relax in comfort in the lovely area looking out over the private bay and unforgettable sunrises. 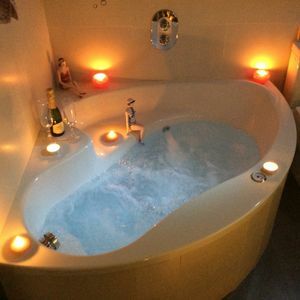 The sun shines all year round with very constant climate, the temperature never falling below 23 degrees in winter, and rarely rises over 29 degrees in summer. 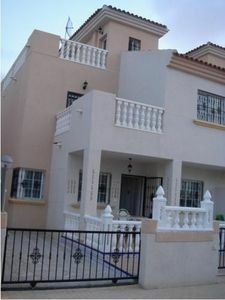 The accommodation is situated all on one level, and is ideal for families with kids. 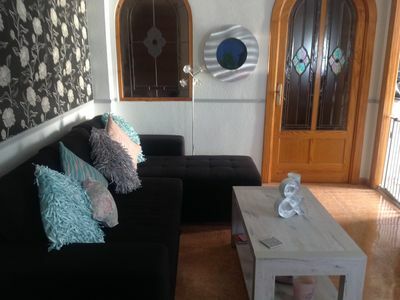 There is a rental charge of 20£ per week for the wi-fi router and high-chair or cot, 79£ for apartment cleaning, and 250£ - refundable damage deposit. With stunning sea views looking out to the neighbouring La Gomera Island, you soon realise what a beautiful Island Tenerife is. Prefer sundау сhесk-in dауs. 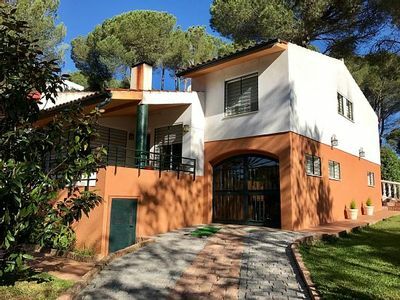 This is an ideal place for golf and tennis lovers as well, as Las Americas is just 15 minutes drive away, and there are about a dozen of tennis courts and 2 famous Golf Courses (Costa Adeje Golf Centre and Abama Golf Club) nearby. 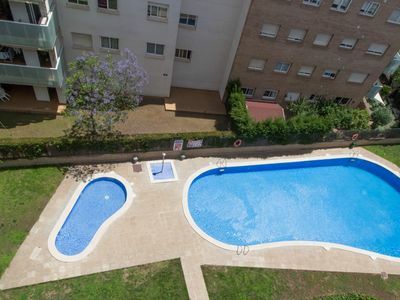 The apartment has a great shared swimming pool which has plenty of sun beds to use around it, all very clean. 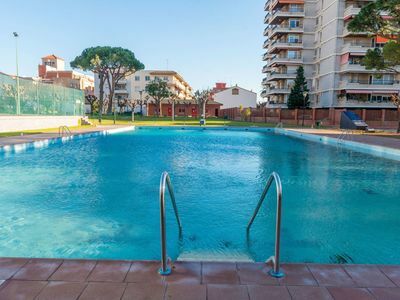 Holidaymakers return year after year and no wonder, this apartment has everything to make your stay in Tenerife so memorable. Panoramic view of the ocean. First line. 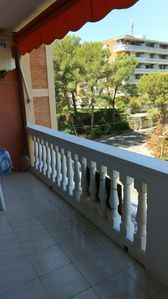 Beautiful apartment for 4 people refurbished with A / C in Salou.